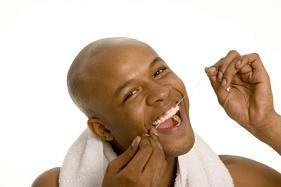 Flossing is a big part of your oral hygiene. This is why it is important to keep up on the flossing that needs to be done. You want to make sure that you're getting the most out of the flossing that you're doing and sometimes handheld flossing is not the best way to go about it. Electric flossers can be the best way to go about getting the clean teeth that you need and want. Also known as a Waterpik, these flossers are able to get into those hard to reach areas and remove the built up plaque and food. You don't want to worry about this causing your teeth to break down. When the water goes through the areas of the teeth, not only does it remove this build up, but it will not cut through your gums like some floss does. This allows you to control the pressure that is being used. Additionally, the Waterpik can easily remove the plaque and build up that you find on the outside of the teeth. This is great when you have hard to reach areas that sometimes the toothbrush or other floss does not reach. Never have to worry about not being able to get these areas clean again. If you're considering something as an alternative to floss, this is a great choice for most. You can use it right at the sink and get the benefits of flossing without the added fuss. Plus, it's pretty fun to do! Speak with our dentists today about the many other benefits that you can get from an electric flosser. You might be surprised to find out that they're just as effective as regular floss. Make an appointment to have a cleaning and enjoy a happier, healthier smile overall.